Britannia Airport Cars Offers Private Hire Service to and from Harwich International Port weather you are group with luggage forget the hassles of arranging a seaport transfer. Call us or book transport from the Reliable service with fix fare to or from Harwich International Port and enjoy the journey with our driver.While Booking the Service please specify The Ship Name and Terminal Name at the End of Booking and our driver will Greet you at Meeting Point with your Name Board Everyone is busy in their daily schedule, if you are of those people who have not enough time to do unnecessary things then Britannia Airport cars are specially made for you. Our services are easy, affordable, comfortable and very fast. So, you would have better transfer from one place to another. Whether it is about to pick-up and drop at Airport, Seaport, Hospital, tourist places and so on, our cars are always available to help you by providing you smooth trip experience. We are specialized for Airports and Seaports. You can find the Minicabs through us at any airport or seaport in London. 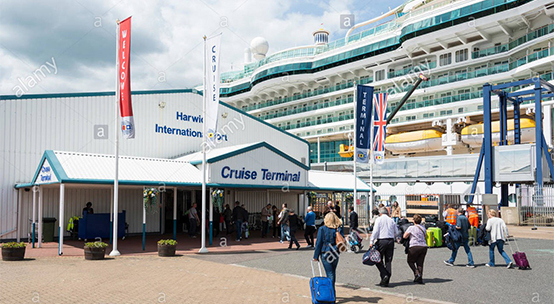 Whether it is about to pick the Minicab from Gatwick Airport, Luton Airport, Southend Airport, Tilbury Cruise port, Southampton Cruise Port or you want to hire the car for Harwich International Port Transfers, Britannia Minicabs are always available for you. You find us anywhere in London, just book a Minicab and our driver will contact you within a few minutes. You can also contact if you are in need for a car at Stansted Airport, London City Airport, Dover Cruise Port and Harwich International Port and so on. Our drivers will be on the desired location before your arrival, they will provide you all the possible help in reaching to your destination on given time. We can help you in having the right car with all the comforts according to your demands, our customer support will also available for you. So, you could choose the better one. Do not worries anymore, just book your Minicab with Britannia airport cars and get best services from us. Our drivers are professional and they always try to give you their best. They are private hired drivers and work with full of dedication. So, you would have better experience of their driving skills.